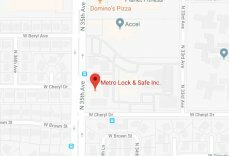 Schlage Locks Phoenix | Local 24 Hour Service | Metro Lock & Safe Inc. When you need refined, stylish protection for your home and business, nothing keeps you safe like Schlage locks in Phoenix. Metro Lock & Safe Inc. is your local supplier for Schlage locks, and we’ve got a wide variety of keyed and keyless locks to meet any need. We don’t just sell Schlage locks and hardware though, we install them too. As a full service company when you need locks that meet your needs from a knowledgeable local supplier, you’ve found the right place. Schlage Deadbolts – These Schlage locks provide an incredible degree of safety and protection. When used to reinforce traditional locks, deadbolts can provide an extra level of security that makes it much more difficult to break into a property. 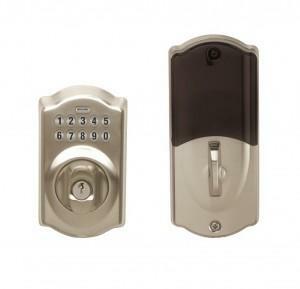 We also offer a variety of deadbolt combinations for the ultimate Schlage locks in Phoenix. A deadbolt paired with a keyless entry lock or keypad provide convenience and security all in one place. Schlage Connect™ – When you want futuristic security that mixes safety chic with advances in technology, Schlage locks deliver. With so many connected devices it only makes sense to pair your home security with everyday convenience. This line of connected locking mechanisms comes in a variety of choices and many options can interface with security and home automation systems. Wireless options make entry even easier, and you’ll never have to worry about losing your keys again. Schlage Keypads – From traditional easy installation keypads that hold as many as 19 individual codes to connected keypad deadbolt combinations, Schlage locks in Phoenix come in a wide variety of configurations. Built with the latest conveniences in a style to match any door, there’s a reason so many residents in Phoenix trust Schalge locks to protect their property. Whether you need them for business or home protection, these locks deliver. We have a variety of options for intrepid home installation amateurs, but offer a number of useful services. For those who aren’t digitally inclined we can install and set up smart locks for you. We’ll walk you through their use, features, and functionality so that you’re fully prepared to command entry to your home. We offer certain Schlage lock components as well, and can even repair many locks that may have been damaged. As your full service supplier for Schlage locks in Phoenix, we’re proud to offer our complete range of services. When you’re looking for an incredibly friendly and knowledgeable sales staff, a selection of cutting edge locks that can’t be beat, and the best deals on Schlage locks in Phoenix call (602) 663-9828 or Contact Us today.